Our business and lifestyle habits and the lifecycle of the goods and services we consume are increasingly coming under the spotlight as we’re urged to rethink our part in the emerging ‘circular economy’. This latest buzzword is not just greenwash, it’s part of a government-led imperative that touches on everything from product design and procurement policies to upcycling and recyling as we head down the road to zero emissions. This emerging global model is viewed by some as a way to redesign every aspect of our economic system. The first Circular Economy Report, supported by Hastings-based 3R Group, predicted Auckland could create an additional $8.8 billion revenue stream by 2030. While the May 2018 report suggested the regions may also reap a windfall, it offered few guidelines for success, so 3R, with chief executive Adele Rose at the helm, is stepping up to ensure Hawke’s Bay gets a slice of the action. She’s creating tools and planning Circular Economy Accelerator workshops in 2019 to help businesses, local government and social enterprises think about ways to make better use of time, effort and resources. That might mean rethinking whether the products and services you use are sustainable and recyclable, being generous with your leftovers, or making better use of return road miles for an empty delivery truck. At a basic level it may simply be separating our plastics, glass, paper and compostable waste and ensuring that’s being repurposed to benefit the region. 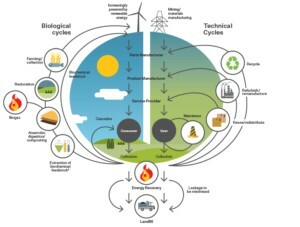 The high-level report supported by business groups and the Government says the circular model can deliver environmental and economic resilience, trigger a new era of business innovation, and radically reduce the cost of economic activity and the material inputs required. The Auckland report focussed on food, transport and the built environment, typically “high waste, high cost and heavily polluting activities”. Similar reports are now informing policy and business innovation for London and Glasgow and other world centres. Rose says we must step back from the linear ‘take, make, waste’ approach to see where we can release value or unlock growth. This fresh approach needs to be driven by business leaders, mayors and council CEOs who can influence uptake. Locally, Rose has had discussion with staff at Napier Port who have existing projects in this space and want to understand how they could play a bigger role in surplus use and better management of resources. That should include more efficient use of the rail system and the transport and distribution logistics of getting goods “in, out and around” and to and from the business hubs at Whakatu, Irongate and Awatoto. Rose believes there are major efficiencies to be gained in the circular model once you get beyond the traditional commercial barriers and communicate across disciplines and projects. The idea of digging a trench for a water main or gas and re-digging it for power or fibre optics rather than digging once for multiple services makes common sense. She says, that’s about planning and the role of local government and transport agencies to build out redundancy and wasted energy and make better use of people. While central government has been part of the problem it’s “also the biggest change maker” with “a New Zealand-wide lens of millions of transactions and events and how to map these together and facilitate them”. Rose says, policy changes will force the Government to become more pro-active, perhaps through common procurement policies, which could for example influence the uptake of electric vehicles. The New Zealand Ecolabelling Trust has just issued an accompanying challenge to the Government – the largest purchaser in the country – which has no minimum sustainability standards in its procurement policy. It says that places us 10-20 years behind much of the world and has called for immediate action requiring all purchases be certified by Environmental Choice, Fair Trade or possibly energy star ratings. Although the Hastings and Napier Waste Minimisation Plan drew over 6,000 submissions on ways to deal with consumer waste and halve Omarunui landfill input, some say shortlisted recommendations simply reinforce what was already on the table. Landfill reduction was the focus of a similar 2011 proposal, and Rod Heaps, the Hastings councillor holding the environmental portfolio, is frustrated at the failure to deliver any real creative solutions. We’re to be educated and urged to get better at recycling and separating out green waste for composting commercially or at home. Orange rubbish bags will be replaced by 80 litre general rubbish bins collected weekly, then possibly only fortnightly. We could end up with four plastic bins for general, plastic, paper and glass, with pick up in Hastings then Napier from around mid-2020, adding around $90 to our annual rates bill. Also proposed is a combined Napier and Hastings waste team, encouragement for commercial, industrial and retail recycling and a new waste levy and contestable fund for waste reduction projects including demolition and construction materials. The full plan is due by September. Heaps wanted to see more focused centres for reusable products and transfer stations making “more of an effort to dig out what could be reused or recycled” plus better ways to deal with thin plastic, clingwrap and takeaway coffee cups. The Packaging Forum estimates that 295 million plastic cups go into landfills every year. Heaps says the crazy part is there’s no plan and the options weren’t taken on board. 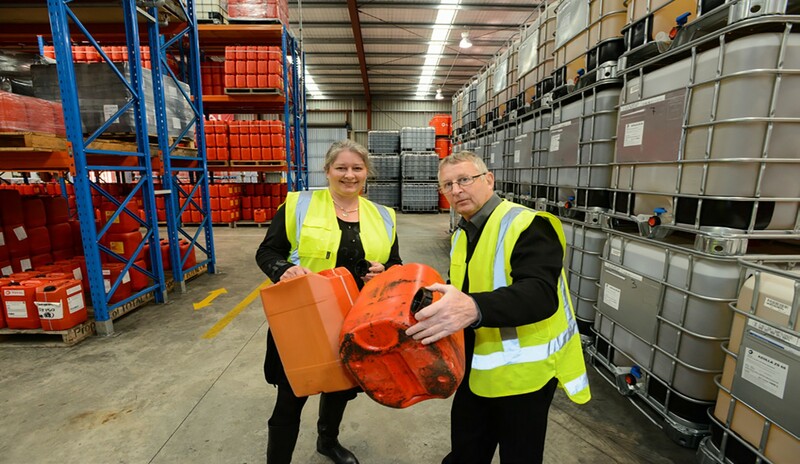 The week he suggested this to BayBuzz, Flight Plastics, a Lower Hutt firm stepped up claiming it could handle the nation’s growing pile of polyethylene terephthalate (PET); used in drink bottles, food containers and meat packaging, at its $17 million plant. The company urged better regulatory support for recycling and a change of attitude from local councils, estimating that less than a third of the 30,000 tonnes of PET in the country is being recycled. Heaps is determined to find out if it’s possible to remove roadblocks to this kind of innovation. While a clear business case would be needed, anyone looking into this would need to be reassured of council support, rather than finding the process is stacked against them. She says ‘Great Things Grow Here’ has the makings of circular thinking beyond produce. Councils know what goes on in the community and, “if they could see themselves that way”, could be good enablers. They can provide incentives through tax, rates, and use of land; in some places councils lease land for $1 to community gardens and provide other support to ensure food goes back to the local area. Rose says product stewardship has matured in recent years from simply dealing with waste to dealing with inputs and outputs from design and development to the consumer. This approach, supported by Auckland and Waikato University MBA programmes in their design thinking, means using more sustainable materials that can be recycled, repurposed or disposed of more easily without creating an ecological footprint. Rose says consumers should be pushing back against products that can’t be recycled and realising they have a voice for change, which is already proving successful across different waste streams. For example, lubricant and oil companies are being told it’s unacceptable that heavy plastic and metal drum packaging can’t be recycled; about 7 million are discarded annually, and mostly end up in landfills. She cites Bob Foothead of Oil Intel in Whakatu, a big oil importer for forestry and other areas, who’s showing leadership in this area by investing in processing. He’s signed up for the 3R-led Lubricant Container Stewardship programme, which by mid-2019, will have arranged for the collection of sufficient containers to trigger further investment in processing infrastructure. And the pitiful track record of five million car and truck tyres a year being stockpiled or moved around the country because councils don’t want them or the processing plants is also being addressed. Although all councils have committed to 3R-led Tyrewise stewardship scheme, they’ve struggled with the lack of official guidelines and legislation around storage, movement and disposal. Most countries take a bond from tyre processing companies to cover a range of concerns including dealing with leachate and impacts on the land. “The last government wouldn’t progress the legislation, but the coalition agreement includes a commitment … we are expecting an imminent decision on tyres as priority products,” says Rose. This will remove obstacles for councils to act with a specialist body to advise on environmental and people risk and impacts, and the type of machinery that can be used. Rod Heaps says too much responsibility falls to consumers to determine which grades of plastic are recyclable and which are not and on councils to educate them. The ultimate incentive would be knowing councils were doing something constructive with that waste, and that manufacturers and producers were taking more responsibility. That, she suggests, will only come about when we have more joined up conversations, so consumers better understand the choices they’re making. In the ideal circular economy, with the right incentives and price points, we won’t mind buying our waste back in a different form as this new spin on the old ‘what goes around comes around’ maxim matures.